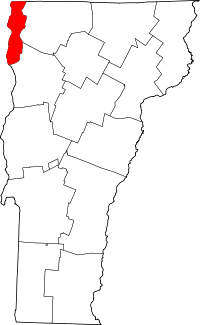 Grand Isle County has the distinction of being the least populous county in Vermont. Grand Isle County vital records are available from the North Hero town clerk. Office hours are 8 am to 4:30 pm, Monday, Tuesday, and Thursday; 8 am to noon Wednesday, Friday, and Saturday. The clerk may be contacted by phone (802-372-6926), fax (802-372-3806) email (townclerk@northherovt.com) or mail. The Vermont State Archives and every town clerk maintains birth, death, and marriage vital records; Grand Isle county towns are Alburg, Grand Isle, Isle La Motte, and South Hero. Divorce records are obtained from the clerk of the court where the divorce was granted.